Set on top of a sunny hill this home stands alone. Wake up and watch the sunrise filter through the scattered pine & oak trees that lace the valley views below while sipping your morning coffee! This 3br/3 full bath home is on one level and boasts TWO master bedroom suites. One of the master suites leads out into the back patio/pool area. The second master bedroom can be entered through the home or accessed separately from the outside giving the possibility to be rented out. The pool/patio area located in the rear of the home turns this hilltop home backyard into an sunbathing and entertainers oasis! Sitting on over a 1/2 acre of land there is plenty of room to let the dogs and kids run free. This single-level home makes for easy navigation through the living spaces and entertaining areas.This home is situated in a "Tahoe Donner" like setting yet within walking distance to shopping, restaurants and entertainment. Super easy access to Highway 17, Santa Cruz and surrounding areas. SchoolsClick map icons below to view information for schools near 320 Twin Pines Dr Scotts Valley, CA 95066. Listing provided courtesy of Atlantis Properties. Scotts Valley Real Estate at 320 Twin Pines Dr Scotts Valley, CA 95066. Description: The real estate listing at 320 Twin Pines Dr Scotts Valley, CA 95066 with the MLS# ML81731088 has been on the Scotts Valley market for 160 days and is currently listed for $1,120,000. 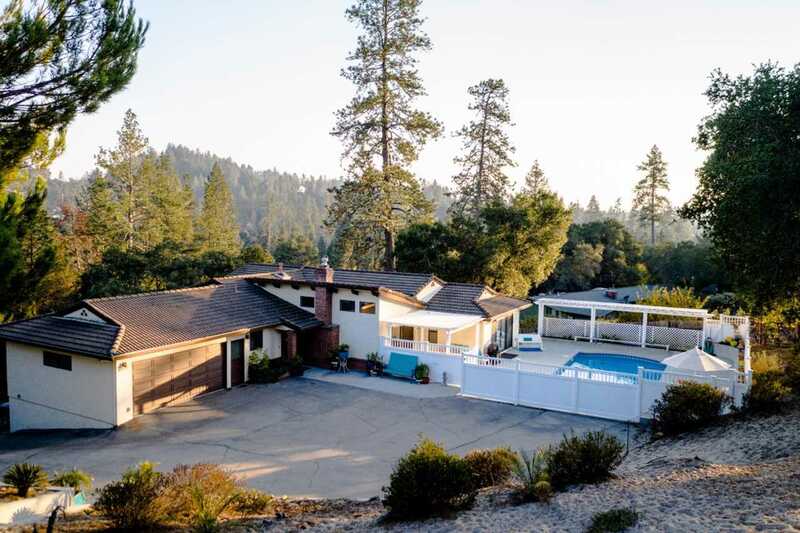 You are currently viewing the property details of the MLSListings MLS listing at 320 Twin Pines Dr Scotts Valley, CA 95066, which features 3 bedrooms, 3 bathrooms and has approximately 2769 sq.ft. of living area.